In Cambodia, 70% of the population of rural areas are young people, however the majority do not participate in community service activities. Seeing the potential of such a large youth population to make positive change in their communities, alumni of the Young Southeast Asian Leaders Initiative (YSEALI) created the #AEIF2017 project YoungCam. YoungCam aims to encourage youth, ages 18-25, in rural Cambodia to become agents of change to solve their community issues through volunteerism. 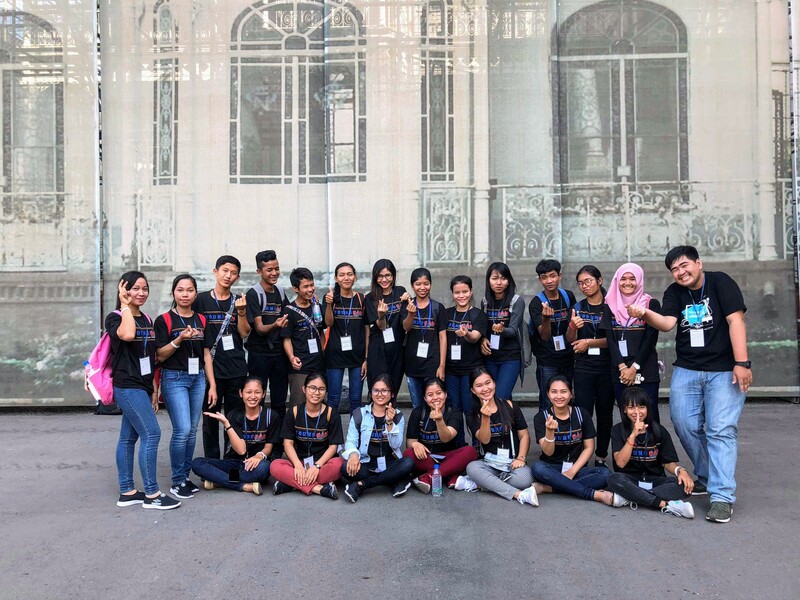 The program consisted of three stages: first was a series of three campaign workshops in the provinces of Battambang, Siem Reap, and Kampong Cham focused on the importance of volunteerism. After a competitive selection process, 21 youth from all three provinces were selected to participate in a five-day training on program management, volunteerism, and community development. During the training, participants were divided into four groups by province and area of interest, and each group was assigned a mentor. Each team worked to address an issue they identified by creating a timeline, planning a budget, designing sustainable projects, and developing success indicators. At the end of the five days, participants competed for small grants to implement their projects and all four teams received funding to implement their projects. The final stage of YoungCam was a participant reunion where, upon completion of all four projects, the 21 participants reunited to present and report on project successes and results. The effect of YoungCam on the participants was deemed “life changing,” as they were able to grow their networks, initiate project ideas, and broaden their knowledge and action related to volunteerism. The impact stretched beyond those who directly participated in the program. After completing their community project, Team Angkor Health formed a long-term social club in their school, which gave them the ability to take on even more community projects in their hometown. The YoungCam participants have even encouraged their community members to learn more about social issues. Team Battambang Crop Pouch had 80 villagers attend their role-play competition that raised awareness for domestic violence issues, continuing education, and the environment. Congratulations to the alumni who envisioned and carried out this project. They have passed along the spirit of volunteerism that they gained during YSEALI to mentor and develop young Cambodian leaders. Are you feeling inspired by the YoungCam project? Now is the perfect time to sign in to your alumni.state.gov account, find your AEIF team and submit a project on Building Civic Participation, Good Governance, and Resilient Communities. Don’t wait! Applications can be submitted starting on February 1.